Here are four more colossuses (colossi?) that I found in the Newberry Library collections in Chicago during the NEH summer program in 2014. 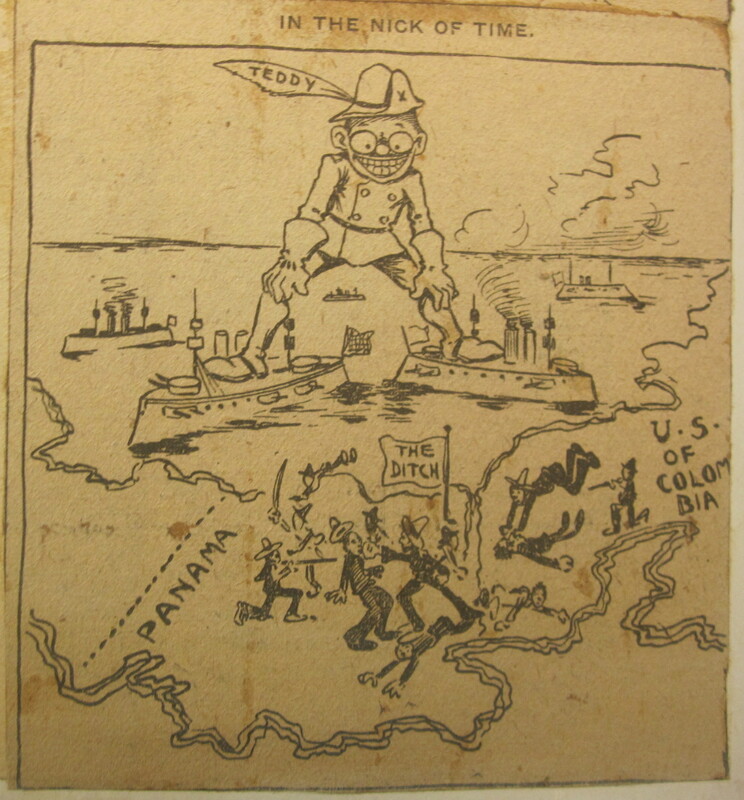 “In the nick of time,” from a [Scrapbook of political cartoons from American newspapers] circa 1890-1920. Newberry call number: scrapbook – oversize NC1420 .S37. 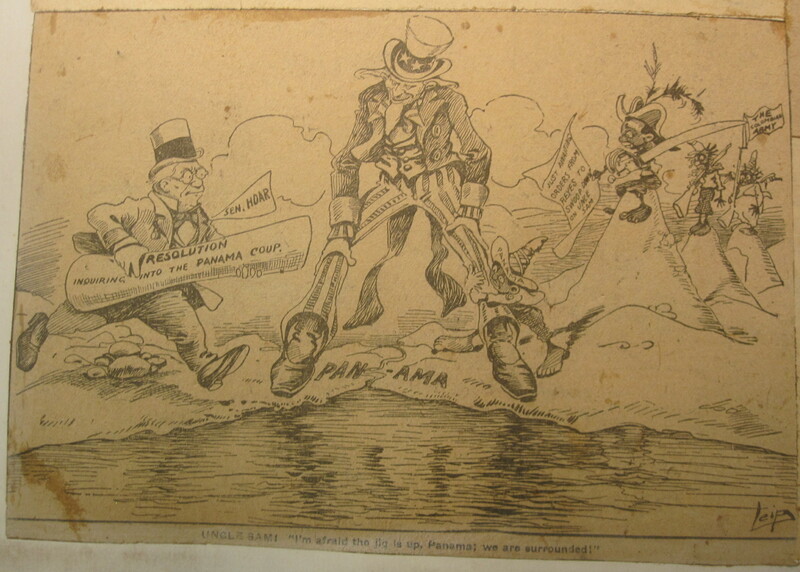 “Uncle Sam: I’m afraid the jig is up, Panama; we are surrounded!” from a [Scrapbook of political cartoons from American newspapers] circa 1890-1920. Newberry call number: scrapbook – oversize NC1420 .S37. In Illustrated New Mexico by W.G. Ritch, 1883, page 23. “The Colossus,” 1766, showing William Pitt on stilts. Seen in Image of America in Caricature and Cartoon, Amon Carter Museum of Western Art, 1975, page 46. 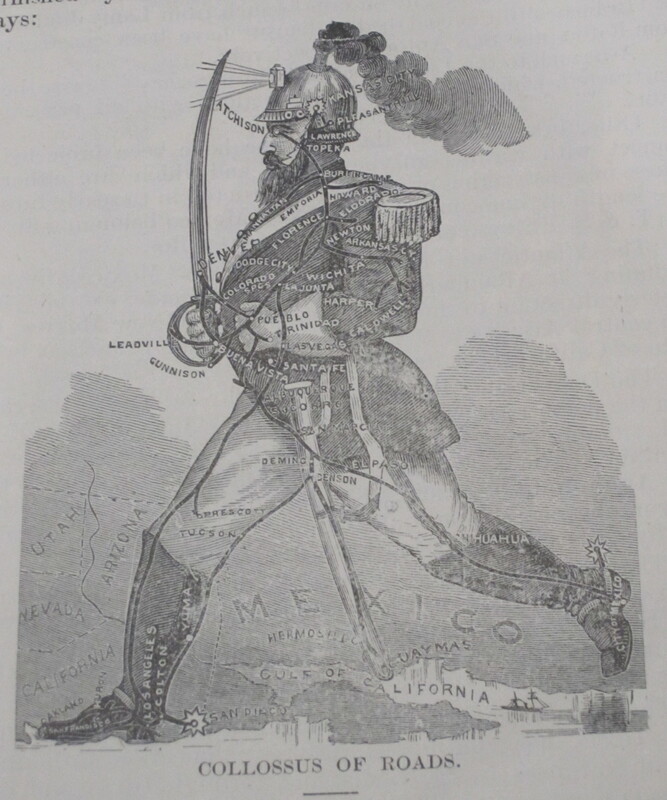 This entry was posted in Category Awesome and tagged carto-caricature, colossus, mexico, newberry library, uncle sam. Bookmark the permalink.